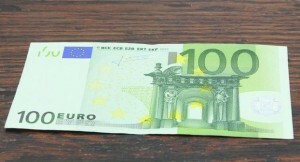 On this particular day a rich German tourist is driving through the town and he stops at the local hotel and lays a 100 note on the desk. He tells the hotel owner he wants to inspect the rooms upstairs in order to pick one to spend the night. Previous post: The Billionaire Kid.